From the author of Bliss comes a heartwarming tale of friendship, romance, self-discovery... and llama drama. When a close encounter with an eighty-foot spruce steals Merry Manning's dreams of Olympic gold, the former ski champ finds herself falling into a career she never expected -- the life of a travel writer. Picturing glamorous trips to exotic places, Merry is speechless when her boss assigns her to the blog, "Don't Do What I Did," and sends her to a middle-of-nowhere llama ranch with instructions to "fall on her fanny" as often as possible. Soon she's eyeball-deep in alpacas, llamas, goats, and all the mess that comes with them. 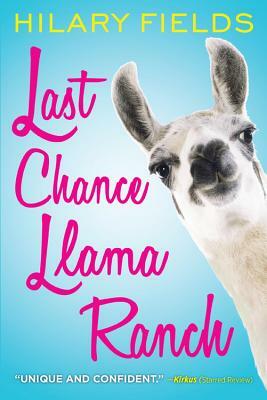 But when the Last Chance Llama Ranch -- and a certain gruff cowboy-- start to grow on her, Merry finds that each life might actually be just what she's been missing. A scion of Manhattan's Upper East Side, Hilary Fields wrote her first romance novel at sixteen, and continued to write women's fiction even as she studied classics and philosophy at St. John's College, a tiny liberal arts college in Santa Fe, New Mexico. In the spirit of cognitive dissonance, she still divides her time between Manhattan and the Land of Enchantment, and enjoys cooking, crocheting, and her obligatory feline companions.